UFC 209 marked the second consecutive pay-per-view the promotion would love to forget about. One of the biggest reasons the card didn’t live up to expectations was the last-minute cancellation of the pivotal co-main event between Khabib Nurmagomedov (pictured) and Tony Ferguson. For the first time since getting pulled from the interim lightweight title tilt, Nurmagomedov addressed the MMA world regarding his weight cutting blunder. “Whoever you are or whatever you do, you’ll get only what God prescribed for you. AlhamduliLlah for everything God gifted me for my 28 years, I got much more than I asked,” Nurmagomedov posted on his verified Instagram. “I know that many people was waiting for this fight and I fail them. Want to bring my apologies for all my fans, UFC and my opponent Tony. Nurmagomedov was slated to score a flat $500,000 salary for the fight, which would have tied him with welterweight champion Tyron Woodley for UFC 209’s third-highest payday. However, Woodley needed a $100,000 win bonus to match Nurmagomedov. 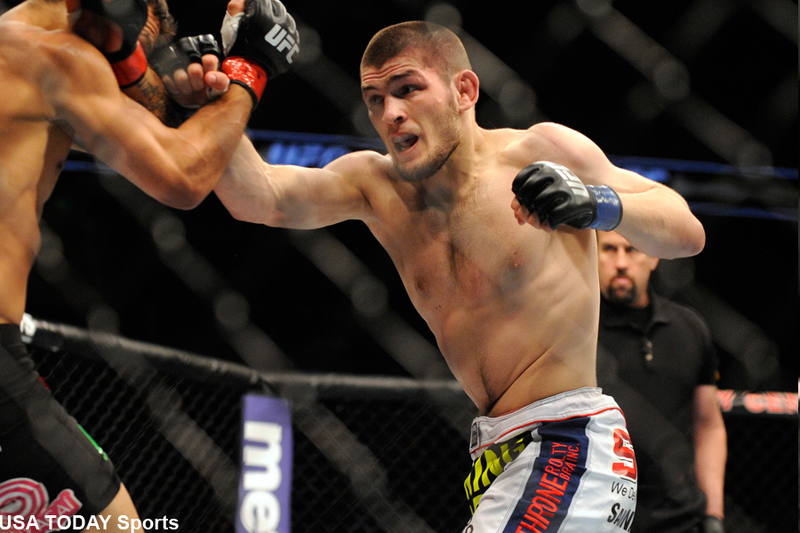 That’s just the beginning of Nurmagomedov’s financial woes. Had “The Eagle” beaten Ferguson, which he was an odds-on favorite to, he would have soared into a title unification bout with lightweight champion and UFC cash cow Conor McGregor. UFC fighters are complaining all the livelong day about wanting “money fights,” yet Nurmagomedov just flushed his golden opportunity down the drain by having weight issues for the second time in eight UFC outings. It is unknown what Nurmagomedov’s next move will be, but you can believe it will be a long time before the UFC trusts him to make weight for another lightweight championship affair.